1. PLAYED 15U THROUGH 18U WITH FROZEN ROPES AND WENT ON TO PLAY COLLEGIATE BASEBALL. Jake played for the original Frozen Ropes team from age 12 all the way through age 18. While at Frozen Ropes Jake hit clean up and played catcher as well as first base. He played in the Mickey Mantle World Series twice and in the Connie Mack Regional twice as well. Jake had many key hits in both the World Series and the Regionals. During his high school career Jake was in the top of the metroplex in hitting, homeruns and rbi's. After completing his High School career at McKinney High School, Jake went on to play at the University of Oklahoma where he is currently one of the Sooner's catchers. Jordan was a member of the second graduating Frozen Ropes team, playing with them from age 14 through age 18. 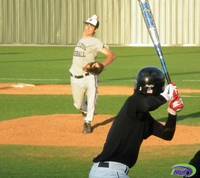 While at Frozen Ropes Jordan was the number 1 pitcher in his junior and senior seasons. During that time Jordan played in the Mickey Mantle World Series and the Connie Mack Regional twice. He played his High School baseball at Frisco Cenntenial, and continued on to play his first two years of College at Paris Junior College for Darren Clark. AJ played on the original Frozen Ropes team at age 12 and continued through age 18. AJ played at McKinney North High School where he played Shortstop on the varsity for 4 years. After High School AJ attended Grayson Junior College under Coach Dusty Hart. While playing second base his freshman year, the Vikings made it to the Junior College World Series. As a member of Frozen Ropes AJ won two State Championships, played in the Mickey Mantle World Series twice, and Played in two Connie Mack Regional Qualifiers. He is now playing at Texas Tech University for Coach Tim Tadlock. Steven joined Frozen Ropes when he was 16 years old. After playing in the Connie Mack Regional twice with Frozen Ropes, Steven attended Grayson Junior College where he was drafted twice and played in the Junior College World Series. He then played his junior season at the University of Oklahoma where he was drafted for the third time. 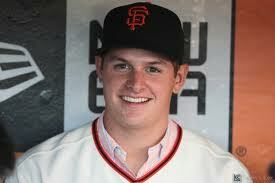 He signed after being drafted in the 4th round by the San Francisco Giants. Kyle played for Frozen Ropes first as a 16 year old and played in Mickey Mantle World Series. As a 17 year old he played in the Connie Mack Regional with Coach Florence's team. After his senior year at Sherman High School Kyle was taken in the 1st round of the draft by the San Fransico Giants. He is presently one of the top prospects in the organization. Bo began playing for Frozen Ropes as a 14 year old and played through his 17 year old season. He played his High School baseball at Plano High for Coach Rick Robertson. After high school Bo signed with Texas Tech University where he played three seasons for the Red Raiders. After his junior season Bo was drafted and signed by the Minnesota Twins. He is currently working his was through the Twins organization. While playing for Frozen Ropes Madison played in the Mickey Mantle World Series and the Connie Mack Regional twice. 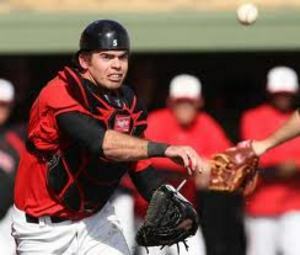 After playing catcher at Sherman High School Madison played his next two seasons for Coach Dusty Hart at Grayson College where he played in the Junior College World Series as a Freshman. At the conclusion of his sophomore season Madison signed with the Univeristy of Texas Longhorns. Justin pitched for Frozen Ropes from age 15 through age 18. While at Frozen Ropes he played in the Mickey Mantle World Series and the Connie Mack Regional. Justin played his High School baseball at Frisco Cenntenial. After his senior season in 2012 Justin signed with Texas Tech University where he will play for Coach Tim Tadlock. Andrew played for Frozen Ropes all through his High School career. While at Frozen Ropes Andrew played in the Mickey Mantle World Series and the Connie Mack Regional. He played his High School baseball for Coach Scott Cook at Frisco High School. After his senior season Andrew signed to play for Northeastern Oklahoma Junior College where he will play first and third. Coach Smith began with Frozen Ropes coaching a 12u team and stayed with that team through their senior season. While coaching that team they finished 3rd in the Majors divison World Series three times, made 2 appearances in the Mickey Mantle World Series with a third place finish as 15 year olds, and made 2 appearances in the Connie Mack South Plains Regional. Coach Smith coached 2 players that went on to play professional baseball and 12 players that played collegiate baseball, 7 of which played in the Big 12 Conference. Coach Frazier began with Frozen Ropes coaching a 12u team and stayed with that team through their senior season. While coaching that team they finished 3rd in the Majors divison World Series three times, made 2 appearances in the Mickey Mantle World Series with a third place finish as 15 year olds, and made 2 appearances in the Connie Mack South Plains Regional. Coach Frazier coached 2 players that went on to play professional baseball and 12 players that played collegiate baseball 7 of which played in the Big 12 Conference. He is currently coaching a 14u Frozen Ropes team. Ty Crump played for Frozen Ropes from age 14 through age 18. While at Frozen Ropes he played in the Mickey Mantle World Series twice and the Connie Mack South Plains Regional twice. He was a part of two state championships and played in the Majors World Series where his team finished third. Ty played his High School baseball for Jim Gatewood at McKinney North. After high school Ty played two years at Grayson College for Coach Dusty Hart. In his sophomore year at Grayson his team made it to the Junior College World Series. Michael played at Frozen Ropes for 6 seasons. During high school Michael played for HSAA where he was a pitcher and shortstop. While at Frozen Ropes Michael played in the Mickey Mantle World Series and the Connie Mack South Plains Regional. After his senior season Michael signed to play for Northeastern Oklahoma where he is currently on their pitching staff. Jacob played with Frozen Ropes from age 15 through 18. His high school baseball career was played under Coach Johnny Kinzy at Denton Guyer High School. He played on the 18u team with Frozen Ropes as a 16 year old. In that season he was part of a State Championship and competed in the Connie Mack South Plains Regional. The next year his team repeated as State Champions and comepeted in the Regional again. In his senior season his team was runner up in the state tournament. Jacob played his first year of college baseball for the University of Oklahoma. He is now on the pitching staff at Grayson College under Coach Dusty Hart. Connor played his High School baseball at Denison High School. He played at Frozen Ropes all four years of his high school career. During his 16 year old summer he was part of a team that played in the Mickey Mantle World Series. While at Frozen Ropes Connor played 1st base and hit in the middle of the order every year. Connor signed with Northeastern Oklahoma at the conclusion of his senior season where he is currently playing 1st base. Aaron played his High School Baseball at McKinney North High School under Coach Jim Gatewood. While with Frozen Ropes Aaron played in the Mickey Mantle World Series and was also a part of the Connie Mack South Plains Regional. Aaron is beginning his collegiate career as a pitcher at Midland College.